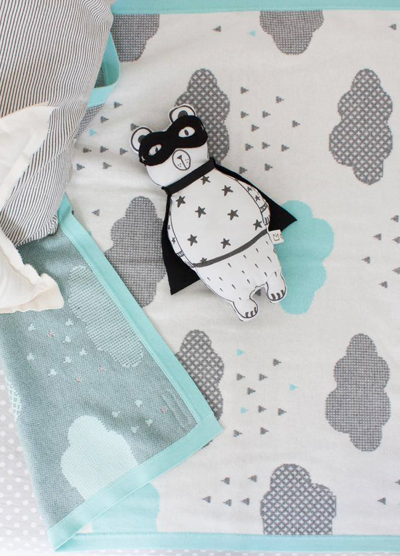 Jolie Petite Chose (which translate from French into 'Pretty Little Thing') is an Australian label based Melbourne. 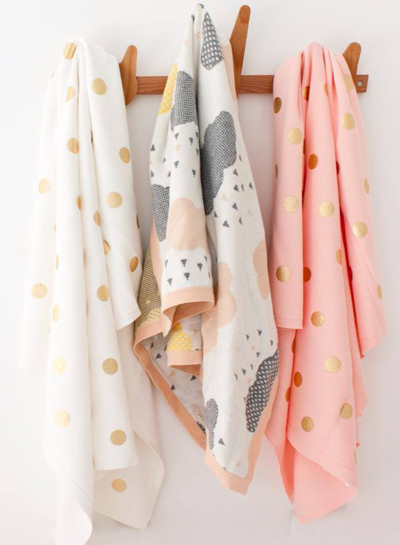 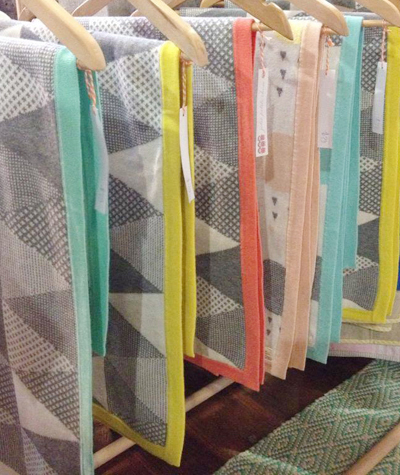 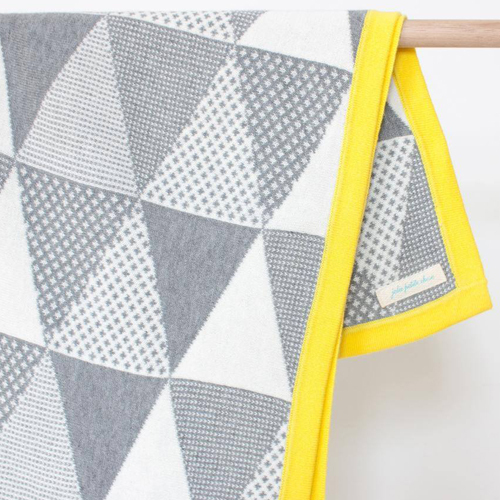 They have some beautiful patterned blankets in their current collection featuring stylised rain clouds for boys or girls, gold polka dots, and smart geometric triangles which have a choice of brightly coloured edges. 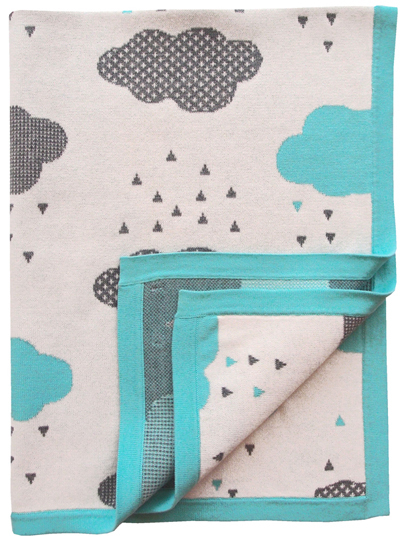 As seen online here or visit the How I Wonder online store if you need a UK stockist.